Home › Alumni › Alumni Testimonials › Alumni Spotlight #13: Jacinta Jiminez, Psy.D. 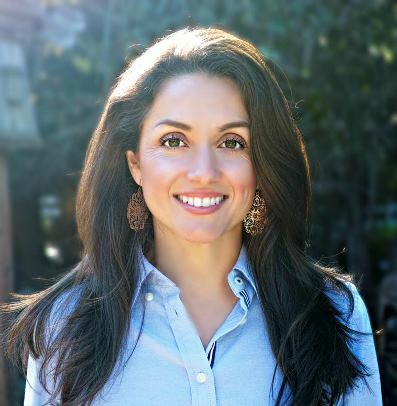 Alumni Spotlight 13: Jacinta Jiménez, Psy.D. I live in San Francisco, CA. I am Director of Coaching Curriculum & Operations at a technology start-up. The company company I work for is focused on bringing evidence-based psychological science to help employees in tech and corporate environments thrive personally and professionally. At BetterUp, I design evidence-based performance skill training curriculum. I also advise, develop, and implement quality assurance guidelines for on-boarding of skill trainers (many of which are licensed psychologists). Our curriculum is combined with technology to reinforce learning and key behaviors with one-on-one video sessions and messaging support. We are launching pilot programs with top companies in the San Francisco Bay Area—it’s been very exciting!! I also work part-time in private practice. Any accomplishments or awards you feel comfortable with us highlighting? I am a re-occurring guest expert on the Dr. Drew shown on CNN/HLN—the show is prime time, live, and has a studio audience--which is quite exciting. I have also been featured in Women’s Health magazine and have served as re-occurring guest media expert Oxygen TV. How has your training at the PGSP-Stanford Psy.D. program helped you get where you are today? Learning from some of the top practitioners in our field while also gaining a solid foundation in evidence-based treatments has been invaluable. To have the ability to critically consume and evaluate research and then use this to develop programs/curriculum has afforded me quite a significant amount of versatility career-wise. What advice would you offer current consortium students that you wish you knew when you were in graduate school? To be open to a variety of training experiences. Psychologists have the potential to wear so many hats—researcher, clinician, teacher, author, consultant, app developer, and more! Graduate school provides an amazing opportunity to explore areas that you may have not previously considered. What was your favorite experience during your time in the PGSP-Stanford Psy.D. program? The people—my classmates, supervisors, colleagues, and teachers. The community of PGSP-Stanford Psy.D. was always one of great support. What has been the most surprising thing you learned about the field since graduating? How beneficial it has been to have a solid professional network—through my network I have been introduced to some really terrific professional and learning opportunities. I have also been fortunate to have remained quite close to many of my classmates from graduate school; it is inspiring to see the career diversity amongst us and how much support and insight we can offer one another. What are your favorite hobbies/extracurricular activities outside of psychology and work? I love to road bike, rock climb, sail, and dance. Being a psychologist lends itself to a lot of sitting and/or deskwork, so it’s so nice to be able to engage in activities that put me in nature and in flow. I also love exploring all the exciting cultural opportunities that SF has to offer! Alumni Spotlight #2: Amber West, Ph.D. Alumni Spotlight #3: Malique Carr, Ph.D. Alumni Spotlight #4: Ginny Estupinian, Ph.D. Alumni Spotlight #5: Haygoush Kalinian, Ph.D. Alumni Spotlight #6: Rob Blinn, Ph.D. Alumni Spotlight #7: Luli Emmons, Ph.D. Alumni Spotlight #9: Grace P. Lee, J.D., Ph.D. Alumni Spotlight #10: Suniti Kukreja, Ph.D. Alumni Spotlight #11: Trisha Vinatieri, Psy.D. Alumni Spotlight #12: Jennifer B. MacLeamy, Psy.D. Alumni Spotlight #13: Jacinta Jiminez, Psy.D.